If there is one thing games like Limbo and Inside have taught us, it’s that side-scrolling platform adventures have the potential for greatness. Without dialogue, cinematic stories can still be told through inventive use of background action and great platforming gameplay. 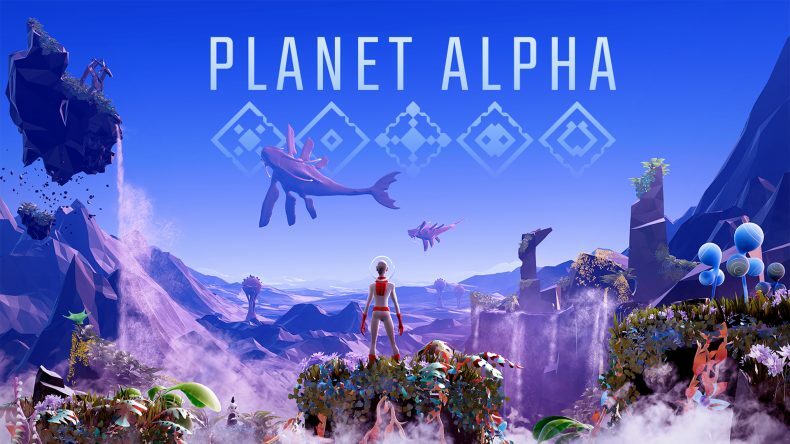 After taking note of these things, Planet Alpha has come along to try its hand at replicating the experience with its own unique twists. All alone on an unfamiliar planet, your little astronaut is injured and limping, forced to look for shelter. 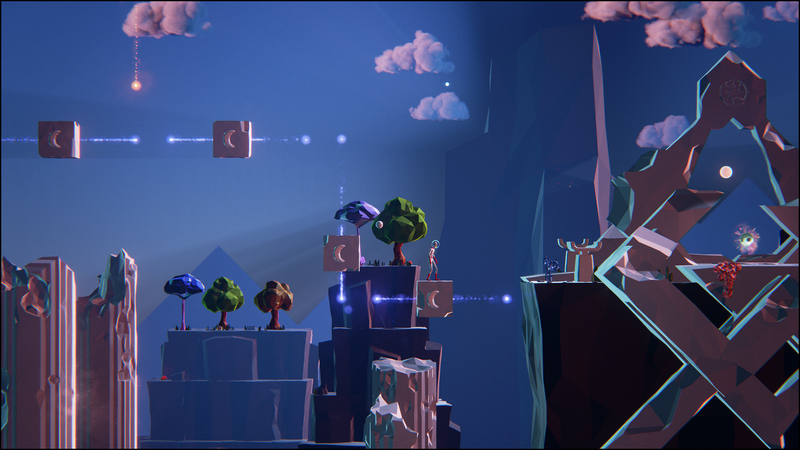 This allows the game to communicate both the sense of loneliness and the beauty of your surroundings. It also has a stunning day/night cycle that looks superb as you traverse the barren landscape. After collapsing, you wake up inside a cave, fully replenished and ready to go again. Exiting the cave, you’re greeted with a lush and verdant world filled with all kinds of flora and fauna; the world isn’t quite as barren as you’re led to believe. As you run, jump and climb your way across this beautiful landscape, taking in the sights and sounds of such a colourful place, you’ll begin to wonder what exactly this game is about. That’s when the robots arrive. Remember how I mentioned that background action earlier? It’s fantastic to see the robots’ ships landing and how it disturbs the animals that roam the wilds. The game has a real Avatar look to it (the James Cameron kind, not the bald kid with the arrow on his head), with such vibrant colours in its plant life and the way its alien wildlife is designed; this is brought home all the more when an outside force comes down to wreck the joint. This outside force doesn’t care for you, either. This is where the Inside inspiration comes into play, as you’re forced to run and hide from the robot menace. 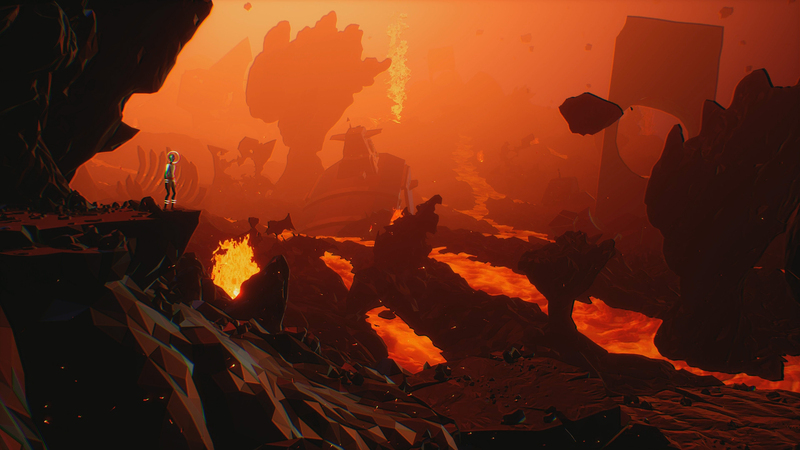 It doesn’t come with the sickening brutality of Inside or Limbo, but Planet Alpha does hit you just as hard as its robots gun you down or the giant, War of the Worlds-like walking machines obliterate you. No, literally your little character is obliterated by their laser cannons. It’s not just the machines that will kill you either, as some of the wildlife sees you as a threat and will come after you. They’re also not fond of the invaders, so you can use this to your advantage sometimes, drawing the robots to their demise while you escape in the confusion. That kind of logic is what drives a lot of Planet Alpha’s puzzles. Most are simply a case of pushing a block the right way so you can use it as a stepping stone to a higher ledge, but some will test you a little more. That day and night cycle I mentioned earlier? For some reason, at certain points you can control it, essentially rotating the planet at high speed using the left and right triggers depending on the direction you want. Sometimes this is to rotate something in the room you’re in, whereas other times require certain plants to be active for you to progress; something you will have to figure out at speed sometimes too. And that is where Planet Alpha falls down. There are times where you will need superhuman reflexes to avoid death. This would be fine if it only happened once or twice, but it happens an awful lot in the 4-5 hours you’ll spend in the game. It cheapens the experience somewhat, when death feels totally beyond your control and you’re forced to replay that section again. It’s almost like the game wants you to fail, in order to go back and do it again armed with this knowledge of the future. If that’s the case, it’s a horrible gameplay mechanic; I suspect that’s it’s more a case of some sloppy design, however. Most of the game is good fun, with fluid platforming that actually reminded me of the old classics Flashback and Another World, but in the second half of the game, the level design becomes more and more awkward and deaths feels more and more cheap as a result. It also recycles the same idea several times during that time, and that idea is the worst in the entire game. It just served to frustrate and bore me, and I’d roll my eyes and groan every time I knew I was about to go through another of those awful recycled sections. It almost ruined the experience. But stick with Planet Alpha, because it’s more than that. The second half definitely lets it down at times, but when it gets things right, it’s an incredibly atmospheric and cinematic experience. Sure, it’s probably an hour or two longer than necessary, and it could definitely have done without those recycled bits (I’m being deliberately vague on those, to avoid spoiling anything); but it has some truly ingenious moments and a subtle story that will have you thinking about it for a while afterwards.